To say the campus is impressive would be a large understatement. It has a cafeteria with unbelievable food. Employee’s have access to dry-cleaning, a world class gym, incredible daycare, a hair salon and over 10 000 multi-coloured Google bicycles to ride from one part of the campus to the other. And I am probably naming only half the amenities. The upside is Google takes care of everything. The downside I guess is that there is not really a reason not to be at work. I guess one man’s safe space is another man’s cult. 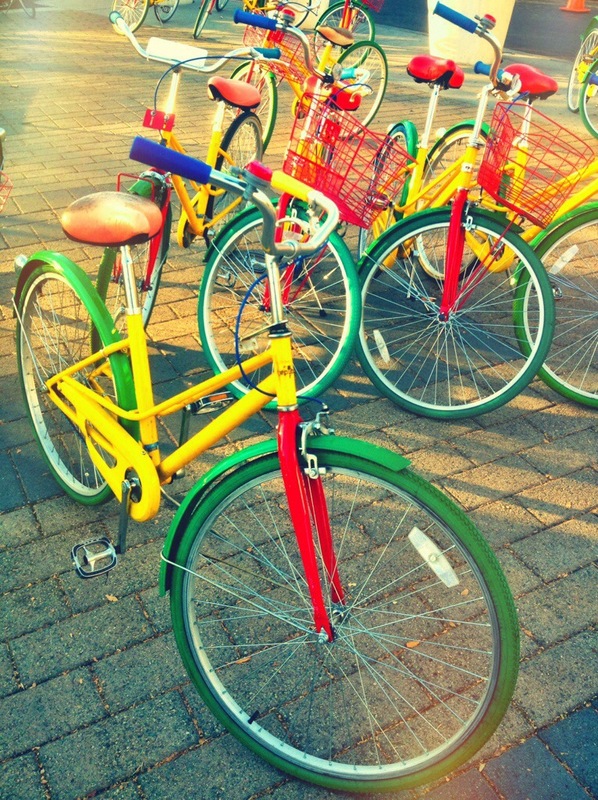 So, that is what you can see at Google. But it also has something a little more subtle that you can’t see but definitely feel. When I walked onto the Google campus it gave me the feeling I used to get at a place I had worked at before. A great agency. What both have in common was this feeling of walking into a different reality. The feeling that this is where somebody is going to change the world. Both have their own language, prophets, rituals and symbols. And everybody has drunk the cool-aid. You could feel a central belief permeating through the people. People, that were misfits, individuals who were searching the world for a home. You could never see any rules but if you worked there you knew what they were. And more importantly, they all believed. There are many ad agencies that are nothing more than depots. Depots that ask creatives every day to push beyond the known boundaries of what has been done without a net. And many are expected to do this to create profit for companies that no longer remember why they exist. The company has stopped believing but they want their employees to keep doing so. With creatives it’s not about working hard. We all do that. It’s about why we are doing it. If your agency doesn’t get that you need to leave. If creatives don’t believe in a mission, it will fail. Or at best be average. It doesn’t matter what you do, this will be the result. This is why the great agencies have an almost religious or cult like feel to them. It makes creatives feel like they are in the right place, at the right time, doing the right thing. Something, they have craved their entire lives. This certainty makes creatives feel like they can change the world. And changing the world always begins with being in a place where you feel like you can. Being a creative is a strange business. Most of us are told from an early age that we are weird or different. Many of us don’t really fit in. And, as you can imagine that can lead to a fair degree of uncertainty. Creativity is about being in the flow of uncertainty and making something to prove what you think doesn’t only have to exist in your imagination. It is a leap of faith every time. This is why creatives want to work in a place that has certainty. Not routine. Not boring. Certainty. Certainty of purpose. Certainty of belief. When you get this right there is a collective energy. This can take you way beyond anything you can imagine. So, to the agencies/depots that treat creatives like an endless commodity you are missing a very big trick. You may become successful agencies but you will never be great ones. And considering what could happen in the next couple of years I strongly suggest you try and be great. I have had the same conversation with creatives for twenty years. They always say the times they did their best work was when they were at an agency that was just different or had something special. And when you say how, the response is always the same. They say it was like it was their home and the people were like family. For a brief moment, life makes sense, they feel like they belong to something bigger than their uncertainty. When that happens anything is possible. And nothing is impossible. If you don’t believe me just Google it. Do you have a FB or Twitter account? Easier to follow all your latest blog posts.